All the dentists in the clinic are fully trained with many years of experience, enabling us to offer you a wide range of quality dental services. We are consistently keeping up to date with the latest techniques and technological advances in our field by attending local and international courses on a regular basis. We understand that having dental treatment is not the most pleasant experience, so we strive as a team from when you first get in contact with us to when you are having your dental treatment, to make the experience as comfortable and as painless as possible. 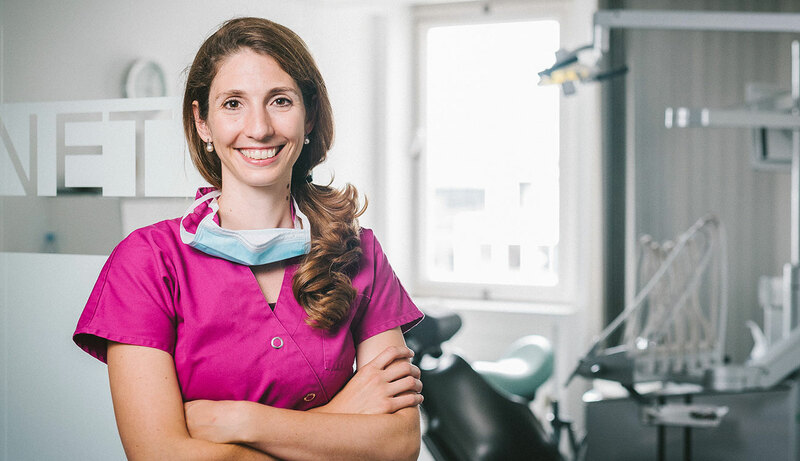 Each dentist is accompanied by their own fully trained chairside dental assistant (which is uncommon for dental practices in Belgium) to help them in providing the highest quality dental care and comfort for our patients. Cecilia was born in Argentina from Italian descendants and has lived in various countries during her childhood such as Ireland, Florida, Massachusetts and eventually moved to Brussels by the age of 12. Here she attended the European Schools and upon finishing moved to the UK to study her Dental Degree. She spent 10 years perfecting her skills in England and Wales, before moving back to Brussels in the Spring of 2012. Two years later Cecilia bought the dental clinic from the Scandinavian Dentist who had established it in 1983. Cecilia thoroughly enjoys treating her patients, not only to restore their teeth but also in helping them to improve and maintain their dental health. She has a gentle and caring approach to dentistry, whilst aiming for her patients to have a positive experience. She is particularly skilled in carrying out white fillings, inlay/onlays, root canals, dental crown implants and complicated dental extractions. As the Invisalign Provider for the clinic, Cecilia is able to help her patients straighten their teeth and improve their smiles without the need for orthodontic braces. She lives in Brussels with her husband (a physiotherapist) where they both enjoy exploring the vibrant food scene in town and taking advantage of its central location in Europe to travel both near and far. 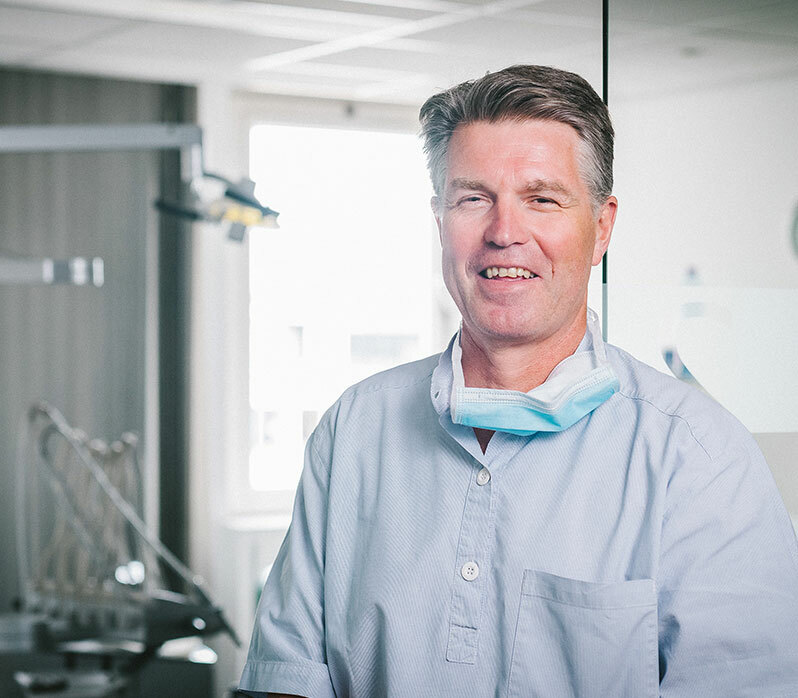 Originating from Norway, Hall graduated from the Dental School in Oslo and stayed on working in his hometown of Tonsberg for a number of years. Afterwards he then moved to the UK where he spent the best part of 15 years gaining experience and perfecting his skills. Having joined the clinic again in the Autumn of 2014, you will hear Hall around the clinic enjoying chatting and getting to know his patients. Being highly skilled in advanced crown and bridgework, coupled with his many years of experience, offers a skill set which few general dentists are able to provide. Charlotte has been with the clinic for the past 25 years. Her years of experience and high quality of care provide for a very warm welcome on your first and continued contacts with the clinic. Her people skills are one of a kind and you will hear her infectious laugh throughout the clinic. She is very knowledgeable with all aspects of the clinic and always happy to answer as best as possible any questions that you may have. Our multilingual support staff are always at hand to help you too, Carlotta (IT/FR) and Tea (Georgian/ENG), assist the dentists chairside throughout your appointment.